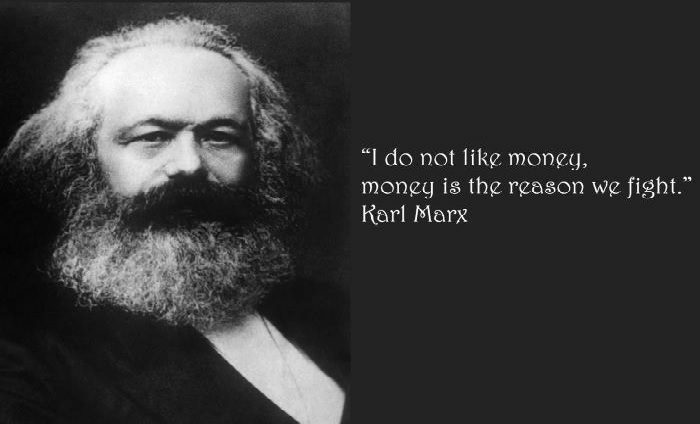 Admittedly I don’t know too much about Karl Marx, but that quote in the headline image is something that that I agree with. Perhaps his ideas/beliefs warrant a closer look. AI could prove itself to be most effective when used in conditions of a planned economy, not in a free market system as previously thought, according to participants of a conference on artificial intelligence that was recently held in Beijing. Speaking at the conference, Jack Ma, the CEO of China’s number one tech company Alibaba, said that within the next few decades, Big Data will be able to revive the panned economy which will become highly efficient. He added that despite the widespread notion of the past century about the omnipotence of the free market’s so-called “invisible hand” of market mechanisms regulating the entire system and planned economy’s alleged inability to efficiently distribute resources, in the next 30 years, state-run economy could play an increasingly important role. Why? Because an AI analysis of Big Data will make it possible to optimize resource distribution, thus eliminating the main downside of planned economy. This opinion was fully echoed by Professor Feng Xiang, who believes that AI and Big Data must not be allowed to end up in private hands. He warned that if artificial intelligence falls under the control of market forces, this could lead to the emergence of Big Data oligopolies where new oligarchs will snap up the entire material wealth created by robots, while people will lose their jobs and will end up as social outsiders. Not so under a planned economy or the Chinese model of socialist market economy, which ensure a fair distribution of both resources and the added value among all people. Dr. Feng believes that this could give Marxist ideas a new lease on life and solve many problems resulting, among other things, from the advent of artificial intelligence. Some experts warn about the danger of AI falling under excessive government control, arguing that it is private companies, not scientific institutions, that are moving things forward. Even in China, the bulk of AI-related research is done by Alibaba, Baidu, Tencent and iFlyTek, all of which are privately run. IT expert Liu Xingliang believes that artificial intelligence should not belong to one company or even one country, because if it does, the result will be a slide back to the planned economy model China had before.